Ty Hargrove is a young country boy living in poverty with his father at the edge of a clay pit in Bay Minette, Alabama. In spite of his disadvantages Ty is bull-headed to succeed and make something of himself. During the week he's a manager at his uncle's telephone pole plant. 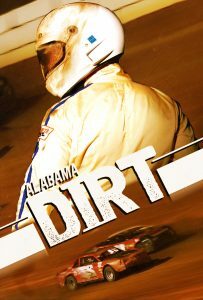 On the weekend he pursues his passion, racing on the dirt track. Ty and his sidekick, Lurvy Wilson, have spent countless hours building their race car in the evenings. Their dream is to beat the local champion, Snake Turner, and go all the way to the state championship. When Snake's girlfriend falls for Ty, things get heated. Then a sudden death in Ty's family leaves him broken and without a sponsor. Now, with the whole town finally believing in him, Ty finds it hard to believe in himself.